Domino mag puts out new home-design book, just in time for the holidays. You’re welcome. 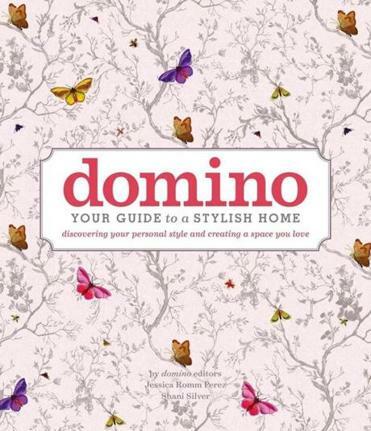 Devoted fans of Domino magazine and design novices alike will devour the shelter publication’s just-released book: “Domino: Your Guide to a Stylish Home” (Simon & Schuster). And there’s even better news for those of us who pour over each quarterly issue of the mag: On Dec. 9 the book’s co-author and Domino editorial director Jessica Romm Perez will be at Mitchell Gold + Bob Williams in Natick and at the store’s Boston location for a book signing and holiday gift wrapping demo. Domino’s 2008 book, “Domino: The Book of Decorating,” is a room-by-room guide that demystifies interior design by offering formulas to help achieve a particular style. The new book follows up with a more modern perspective. “We focus on the next layer — when you already live in your home and are ready to style it with objects that are personal to you,” she says. The book empowers readers to find their own style — whether it’s a particular color palette, textiles, or a collection of beloved items, Romm Perez and co-author Shani Silver offer insight on how to display and live with the things you love in the best possible way. The book encourages readers to seek design inspiration everywhere. Tips on how to design in a Scandinavian or rustic style and advice on gardening and, well, life. Loosely, the book’s mantra is “Don’t be afraid; try different things,” she says. Hang a textile you love on a wall; wallpaper a ceiling; or unify a small collection of unrelated prints by framing them similarly. Wallpaper is another hot trend with big impact that the book explores. “There is so much wallpaper available now — it’s not just to the trade anymore,” says Romm Perez, pointing out that a new wall covering on even just one wall or nook can completely transform a room, without breaking the budget. New on the scene is peel-and-stick wallpaper, which is a great solution for renters who want to personalize their home but are limited with what they’re allowed to do. A section of the book offers design ideas for renters, who Romm Perez says is the magazine’s core audience. “Renters often come to us and say, ‘I inherited this set of things I really don’t like what can I do?’ So I felt a section devoted to remedies for renters was really important.” When you can’t adjust the architecture, painting walls two tones can help ground the space; new light fixtures are another way to add personality. “Even just changing light bulbs is super important because it can alter the quality of light in the room,” says Romm Perez. Other sections have insight on rugs: including sources and sizing information relative to room function. 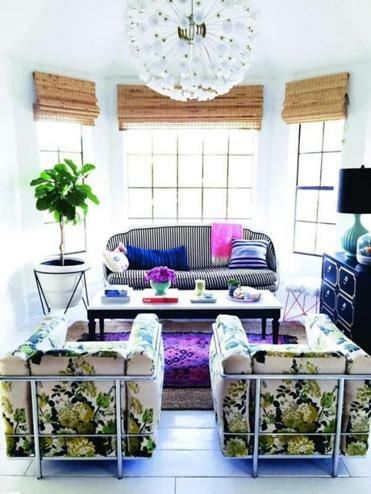 Adding plants, says Romm Perez, “are a nice, easy way to make a room feel lived in.” You’ll find a primer on varieties and spaces each one is best suited for. Mitchell Gold + Bob Williams will host Jessica Romm Perez for a book signing and gift wrap demonstration on Dec. 9 from 10 a.m.-noon at 625 Worcester St., Route 9, Natick, and from 6-8 p.m. at 142 Berkeley St., Boston.